A recent report issued by the Institute for Transportation and Development Policy and EMBARQ, titled “ The Life and Death of Urban Highways” is a solid look at the role and history of city highways across the globe. Citing planning trends originating in the 1960’s that prescribe highways as relief for urban congestion, the text criticizes freeways as barriers that “erode [the] vitality” of cities. It draws on many of Jane Jacob’s arguments articulated in The Death and Life of Great American Cities, and points to data proving highways do not alleviate congestion, and may in fact have the opposite effect. As part of Bogotá’s long-term mobility strategy, TransMilenio was implemented in place of constructing an elevated highway. e city mentioned in one of our earlier blog posts. Below is a short summary. In the mid-1990’s Colombia’s capital, in an effort to decrease intense traffic congestion in the city center, considered two infrastructure and transportation plans. The first was from the Japanese International Cooperation Agency. 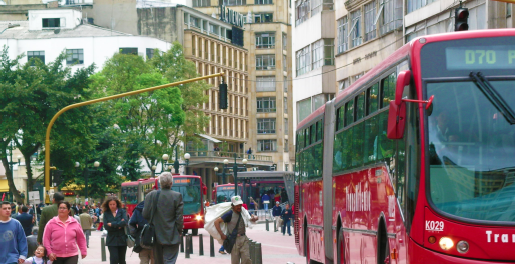 The second, written in response, was a mobility proposal from Bogotá’s mayor Enrique Peñalosa. The latter was selected and implemented. The following chart highlights elements of the two strategies. Envisioned/Real Capacity Inner ring envisioned to 35,000-45,000 passenger cars per hour in each direction by 2015 TransMilenio currently carries nearly 1.7 million passengers per day. Peñalosa’s plan not only revolutionized transportation, but also community, local markets, real estate, and many other elements of the city. It was a conscientious and innovative solution that served the direct needs of city residents. The report concludes with three major alternatives to building new urban highways: 1) manage existing capacity more effectively, 2) invest in mass transit, and 3) implement land use policies that discourage sprawl and reduce unnecessary driving. At the moment, these tenets are not reflected in Cairo’s urban policies, although there has been some promising focus on the metro system. 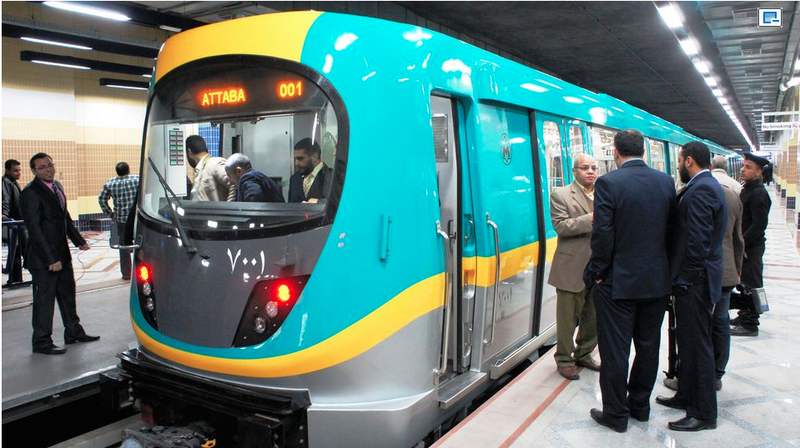 Japan-made train cars stop at Abbasiya Station in Cairo during opening ceremony on Feb. 21st 2012. The city has the capacity, the talent, and the space to redesign its vision – it is waiting for leaders to provide and advocate for a plan of action.